Today’s blog is courtesy of Rebecca McNeill, a founder of McNeill Baur in Cambridge, MA. She addresses the importance of recruiting on-ramp employees. I enthusiastically support these initiatives and the work of the OnRamp Fellowship. Law firms can access wider talent pools by creating on ramps for attorneys and support staff who have left the work force to care for growing families or for other reasons. While many law firms, including ours, offer part-time employment, sometimes an employee, such as a working parent, leaves the work force for a period of time. Whether working parents lean in, balance it all, or take a break from their careers, employers should cast a wide recruiting net. The number of open positions in law firms and corporate legal departments shows that finding and retaining legal talent presents a major challenge. Our 100% woman-owned, life science patent firm has had tremendous success on-ramping. Our 28-person firm employs three on-rampers who had stayed home with children for from one year to more than a decade. By remembering on-ramp candidates and making some modest changes, law firms like ours can improve on-ramping success. While some of these suggestions apply only to attorneys, other suggestions apply to staff, as well. First, law firms can consider how they advertise positions and recruit candidates, whether for attorneys or staff members. As a first step, each of our job postings indicates that we welcome on-ramp employees. By warmly welcoming parents returning to the workforce, law firms open the door for those applicants. We do not penalize applicants for gaps in their resumes and, when applicable, we talk to them in the interview process about how they can refresh their skills and catch up on legal developments. We also actively target our networks to connect with parents who are home with families and invite them to consider reentering the work force. Second, law firms should carefully revisit part-time employment policies as many on-ramp candidates desire a part-time schedule. Many firms have part-time options, but some offer only a few set options (1200 hours, 1600 hours, for example). Our firm has offered more flexibility to part-time employees in setting their own billable hour goal. Additionally, if part-time employees exceed their billable hour goal, we do not penalize them for initially choosing a lower hour goal. An attorney who selects a 1300-hours target, but actually works 1425 hours makes the same amount as if they had set 1425 as their original goal. We also compensate attorneys for every hour worked over their target, as opposed to only awarding bonuses on 50- or 100-hour increments. This encourages part-time attorneys to choose a billable hour goal that allows for intermittent challenges that many parents face, such as the winter when all the kids get strep throat (sequentially). Valuing each hour a part-time employee works equally to the same hour a full-time employee works helps demonstrate our commitment to part-time employees. Third, law firms should carefully tailor assignments for on-ramp employees to meet their skills, interests, and time commitments. Our firm has both large and small patent prosecution portfolios. Giving a part-time employee a small portfolio, but letting them manage all of the work for a small client can offer more career satisfaction than taking only part of a large portfolio. Firm can also offer flexibility to employees contending with school vacation schedules by offering project work like opinions and application writing that will wrap up before the attorney needs to be out of the office. Finally, law firms must recognize that not every smart, talented, and committed attorney wants a rainmaker role or their own book of business. Firms must reevaluate their up-or-out approach. Our firm has committed to retaining employed attorneys for the long term whether or not they develop their own book of business. Even though we do not set limits on our part-time employees, our firm offers long-term non-partnership roles at the firm for attorneys who prefer to serve in a supportive role. Reaching on-ramp candidates can improve law firm diversity and allow access to new talent pools. Offering on-ramp candidates a way to reenter the work force on their terms also improves attorney happiness and retention. I am a day late in recognizing Equal Pay Day. Regretfully because it is an important day. If you are not sure what Equal Pay Day is all about, here is a blog from the past to help you out. Although it is now two years after this blog was written, the statistics have not changed much. Women are still not being paid equally for equal work. I also want to make it clear that flexible hours — when you do the work — has nothing to do with whether you do the work. So, the reader, who misinterpreted my statement in an earlier blog on equal pay, should stand assured that I am 100% behind the concepts of flexible schedules and telecommuting. Work is work. No matter where it is performed and when. Unfortunately, however, not everyone sees it that way, and I always acknowledge the other side in preparation for the debate. Hopefully I will be able to report more progress in future years. The wheels of progress grind slowly. Last week I attended the Georgetown University Women’s Forum, an expanded version of the Georgetown Women’s Law Forum. As a Georgetown Law grad, I am a big fan of this conference. Keep your eye out for it next year! You don’t have to be a Hoya to attend. Practice, practice, practice your presentation — out loud or with partner. Welcome comments and criticism to improve the product. 5. Have a strategy going into salary/benefits negotiations. Be positive and flexible, and don’t got too personal. Treat it like a business discussion. “We don’t have the budget.” Your response could be, “How about increasing my salary by half that amount and talk again in six months.” A classic negotiation technique. Half a loaf often is better than none and might work for you. OR, “You would be the highest paid member of the team at the salary you are suggesting.” You may want to respond by distinguishing your accomplishments from those of the rest of the team. OR, “Is there anything besides more money that would be important to you?” If more money is out of the question, ask for a benefit that does not come out of your department budget—- like an educational benefit. Try not to leave without gaining something to enhance your position. 9. Get it in writing. Don’t risk your conversation getting lost in the shuffle or not being communicated to others when your supervisor leaves. The current college admissions scandal. How awful. Not that we did not suspect lack of fair play in college admissions. We all are aware of the legacy preferences and how the issues of societal inequities play out in this setting, but the magnitude of the alleged criminal behavior and its impact on applicants nationwide is nothing short of disgusting — and very predictable. It was only a matter of time before the misplaced motives of helicopter parents reached such a low. Coincidentally, my new book addresses the erosion of values in the legal profession, specifically the current toxic cultures of many large law firms. 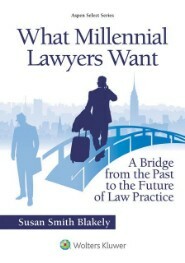 In What Millennial Lawyers Want: A Bridge from the Past to the Future of Law Practice (Wolters Kluwer/Aspen Publishers, 2018, I discuss the respectable values that have been lost or seriously ignored in our profession for too long and the resurgence of those values in the most recent generations of lawyers. I also discuss the destructive behavior of helicopter parents. This recent scandal confirms my suspicions that the lessons of that book have a larger application beyond the profession of law. The values discussed in What Millennial Lawyers Want include honor, respect, compassion, and service to others, values that are resurfacing in the Millennial Generation and in millennial lawyers today. The recent scandal should serve to increase an awareness of the importance of those values. Fortunately, the behaviors involved in the college admissions scandal are not typical of any generation. The players in this scandal are from a tiny segment of society that most of us will never know. They are from a small pocket of elitism and entitlement that most members of society do not identify with and cannot even imagine. The behaviors are selfish and destructive on multiple levels and have so many offensive and reprehensible layers, including the layer of betrayal of what it means to be compassionate, honorable and responsive to the needs of others. And now, as if to add insult to injury, students at Stanford and other schools with alleged connections to this scandal, have filed suit claiming that their educational experiences will be devalued by the scandal. That somehow they are the injured parties instead of opportunists jumping in to take advantage of any benefit they see for themselves. These new litigants have lost their way and display the same selfish attitudes as those caught up in the scandal. They are not the harmed, but their attempts to portray themselves in that manner expose the degree to which the values in our society have eroded. We must reclaim the positive values that once were the bedrock of our society. We hear that message in the political arena on a daily basis, but too often we feel powerless to do anything about it. But powerless in the political arena is different from being powerless in our own lives and professions. So, let the effort to reclaim proven values begin with the lawyers, whose ethical considerations and cannons of behavior once meant something. Let it begin with the lawyers, who are required to study ethics in law school and are tested on ethical behavior on bar exams because truth and admirable behavior is what we should expect of ourselves. There is no need in our profession for devising an effective code of behavior. We already have one. All we have to do is dust it off and live up to it — and require that same commitment by our law firms and institutions. Don’t waste your time on the super elite and entitled. The criminal justice system will take care of them — at least until the next time. There is plenty of work for all of us right here below the stratosphere. How Much Worse Can It Get for Millennial Lawyers? Yes, we expect a lot of millennial lawyers. And we should. They are paid high salaries, and they need to accept that the early years of practice at law firms are taxing. New job. New specialization. New culture. But, millennial lawyers also should expect a lot of law firm leaders. Career development. Mentoring. Inclusion as part of the team. In other words, these young lawyers have a right to expect behavior with more than a touch of humanity. My new book, What Millennial Lawyers Want: A Bridge from the Past to the Future of Law Practice (Wolters Kluwer/Aspen, 2018) is all about these concepts. I explore questions that center around whether the law firm leadership or the millennials lawyers are responsible for the generation divide in law firms today. So, after all the research I have done, I thought I had heard it all. Until I read in this article that a law firm is suing an associate, who departed after one year, for breach of contract and damages that amount to at least $10,000. Although it appears to be true that the associate had signed a three-year contract, this action by the law firm is still astounding. I hope she has some strong defenses. It is hard to imagine what lack of wisdom went into the decision to put an associate lawyer under contract in the first place and then to sue a departed associate for breach of that contract. It is hard to imagine how the law firm could not understand that, no matter the outcome, the law firm will lose in the court of public opinion. It is hard to imagine how the law firm thought this would end well. This is not professional behavior. This is not compassionate behavior. This is not honorable behavior. This is behavior that lends to the reputations of greed that abound in the profession. This is stupid. Some times you just have to call it what it is. Young lawyers beware. There are predators lurking in the weeds. I hope those predators have the good sense to put more money into the recruiting budget for future years. Sounds like they’ll need it. Today is International Women’s Day. I hope you are celebrating being a woman or having a wonderful woman at your side. Today we remember that we have come a long way, but there is still a long way to go in terms of equal opportunity, equal pay, implicit bias, and respect. Even equal protection comes to mind as we are reminded of the recent disclosures by Senator Martha McSally — women are not protected adequately within the military ranks any more than they are protected in society at large. Sexism is still baked in the cake of our culture, and we must keep our eyes on the prize of eliminating it. Equal Pay is an important part of the goals for advancement of women. It is key to women taking their places in the top levels of leadership and management. 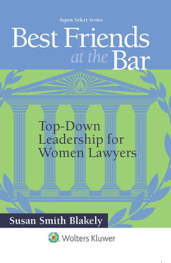 Women at the top of organizations have a lot more opportunity than women at lower echelons to have significant influence on improving policies for women at law firms and in the public sector, as well. And women must prove to be supportive of each other and push for the changes that are necessary. Women cannot afford to be competitive and envious of each other. We all must join together for the changes that are needed to take our profession forward and to bring about the equality that women deserve — no matter what our individual experiences have been. Women supporting women is the only way it will happen. We also must be careful not to make our male colleagues the enemies. We must understand that it gets us nowhere. We cannot do to them what they did to us, and we cannot assume that they did it intentionally. But we will know that, if we discriminate against them today, we will be doing it intentionally — because we have benefited from years of education about discrimination and bias that many of them did not have. I have written about this recently in the ABA Journal, and I recommend that article to you. And, we need to be practical. As the leaders at the top of most law firms and law organizations, our male colleagues are still in control of our opportunities and upward mobility. We will gain nothing by playing into our desires to win the battle without caring about winning the war. 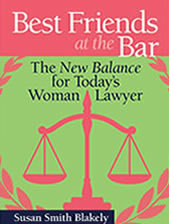 As we hope for greater advancement for women lawyers, we also must have perspective. We must understand that we are part of a historical narrative that goes back a long way. Those of us who entered the law profession as long ago as 40 and 50 years past, have needed to keep perspective to survive. We are happy that women lawyers today are not forced to forfeit opportunities because male lawyers do not want to travel with them. We are happy that women lawyers today do not forfeit partnership because they want to take time off to spend with a newborn, and we are happy that women lawyers today are not called “little girls” by judges at all levels of the judiciary. That happen to many of us. We do not forget it, but we also know that it was part of a historical narrative. So, I hope you will celebrate women today and remember that we have come a long way, but we have a long way to go. Keep your eyes on the prize. The legal field is very dynamic these days and has been that way for awhile. Most lawyers change practice venues multiple times in their careers, and research shows that millennials will change jobs four times in their first decade out of college. 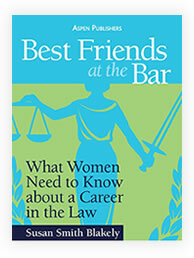 Up until the 1990’s, lawyers often stayed with one — or possibly two — firms most of their careers. Sounds hard to believe now, but it’s true. However, the boom economic days of the 90’s saw law firms grow in size and spheres of influence exponentially, and lawyers started moving around like bees in a hive to follow the money and the power. So, you should not be afraid to change law firms or practice settings if you are not satisfied with what you are experiencing. Sure, it is a big pain to research job openings and alternative settings, revise your resume, contact a headhunter, and to be “on” for one interview after another. Exhausting, really. But it is far better than staying at a job that makes you miserable. And, I think more of you are miserable than want to admit it. I heard a law firm partner quoted recently saying, “I would not want to be an associate lawyer today.” There is a reason for that. The practice has become so specialized that entry level law jobs too often consist of being tethered to a computer reviewing complex regulations and documents and little else — until eyes begin to bleed. It bares little resemblance to what recent law school graduates thought “acting like a lawyer” was going to be like. It can be a huge disappointment after paying a fortune to become one. Law firms should not let this happen to their employees, but they do. Somebody has to do that work, and most law firms do not care enough to add variety and interest to those boring and tedious tasks. Too often they treat entry level lawyers as fungible goods. The result it that lawyers leave for what they hope are greener pastures. Sometimes it works out, and sometimes it does not. And sometimes it is absolutely necessary. If a job starts changing who you are, get out. No job is worth changing your personality and using coping mechanism that are not good for you. Move on. Save yourself. If you fall into any of these categories, get busy. Research shows that February to April are the best hiring months for law firms. So, if you are thinking of making a change, it might be time to dust off that resume and get started. And, most important, understand that transitions take time. Don’t judge the job by the first few weeks. The aging process works great for wine and cheese. It may be the same for new jobs.